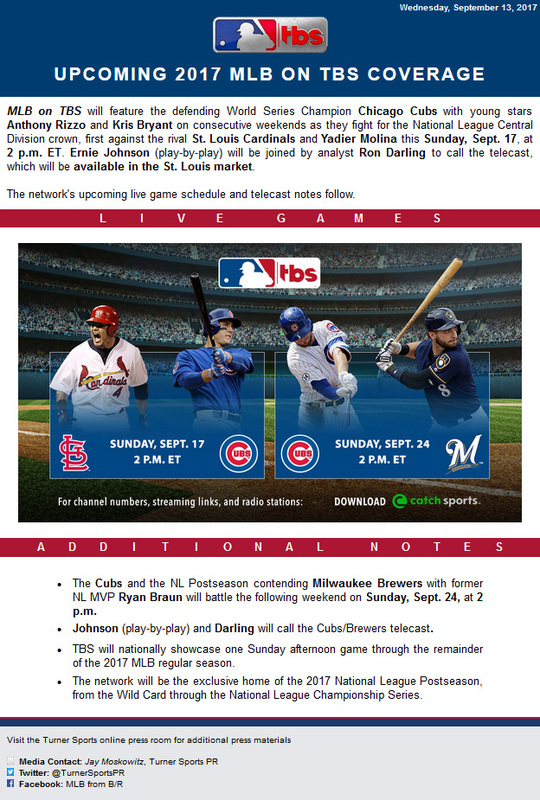 Sunday MLB on TBS to Feature Defending World Series Champion Chicago Cubs on Consecutive Sundays - Sept. 17 vs. Cardinals at 2 p.m. ET & Sept. 24 vs. Brewers at 2 p.m.